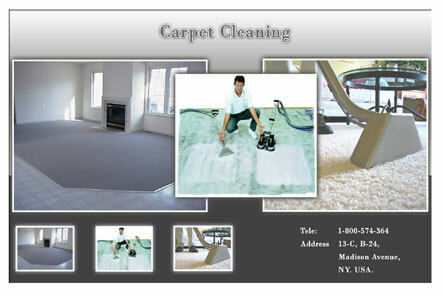 Do you own a carpet cleaning franchise service? 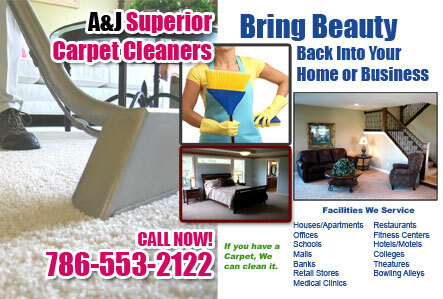 Are you trying to market or advertise your cleaning business? Do you want to secure cleaning contracts? 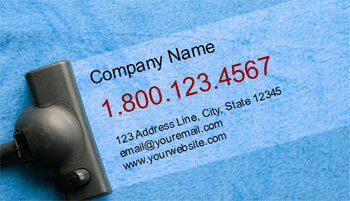 Add postcard marketing to you list of promotional methods. They are very effective marketing tools. If you are starting a cleaning business and want to gain new customers fast, then postcards provide you with an effective tool for marketing. 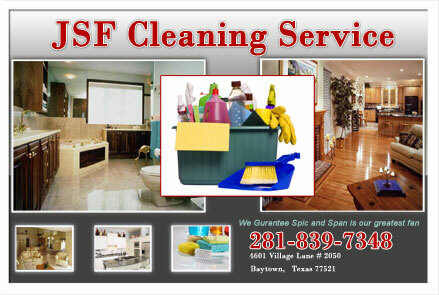 We can design and print any size postcard to fit you cleaning service promotional needs. Our postcards are full color and glossy on one or both sides. They are made from thick 14 point card stock and are custom designed to meet your marketing needs. Postcards or flyers can be any size. Some common sizes used for mailing are 4 x 6, 6 x 9, 5 x 7 and 4.25 x 5.5. You can use our suggested script and design or use your own. Se below for sample custom designs we have done for other clients. We can also do small quantities, just give us a cal or send an email with your request. 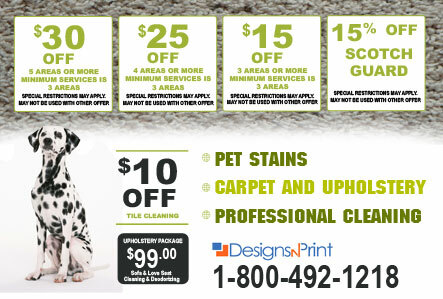 Start promoting you cleaning service with postcards today! 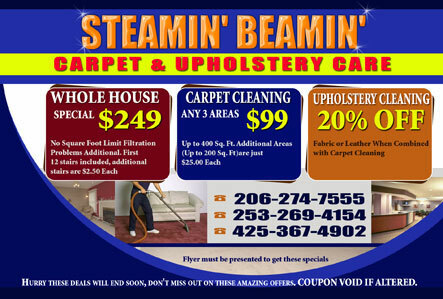 Use Full color postcards or flyers to advertise your carpet cleaning business. You can use one of our online designs or we can create a custom design. 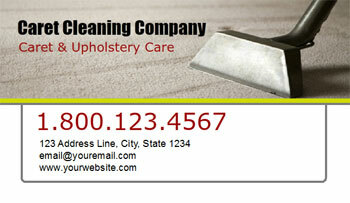 Cleaning service postcard designs and marketing. 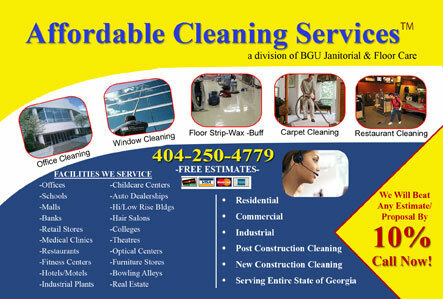 Custom design for an Atlanta Cleaning service company. We created this postcard design to target the Atlanta, Ga area. This postcard was used to target offices, malls, banks, retail stores, medical buildings, restaurants, schools, theaters etc. Here is another 4 x 6 postcard we designed to target the Washington DC area. 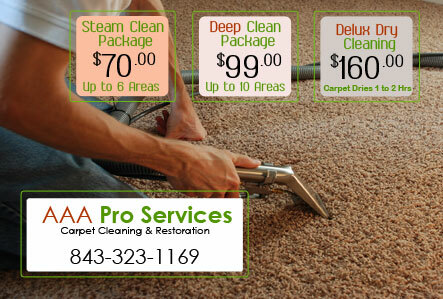 truck-mounted carpet cleaning system, which will remove ground-in soil and revive your carpet's appearance. 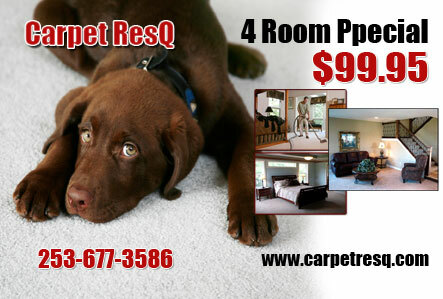 Additional services such as carpet repair, deodorizer and stain-resistant protective coating. 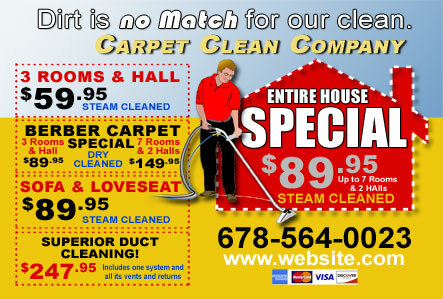 Choosing a carpet cleaning company is not always an easy task for a consumer. Offering specialty cleaning as well such as red dye removal, urine extraction, spot dyeing, and patching are areas of concerns for consumers when choosing the right company for the right job. 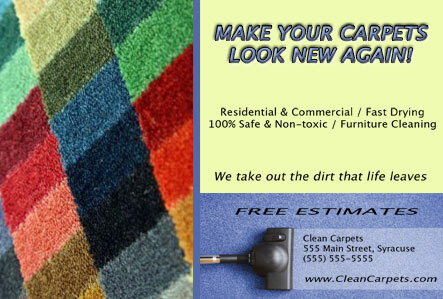 Don’t let your CARPET CLEANING COMPANY go unnoticed. Advertise using our wide variety of postcard designs. With a regular mailing list, you are almost guaranteed to have a large repeat customer base business and perhaps many referrals from satisfied customers. 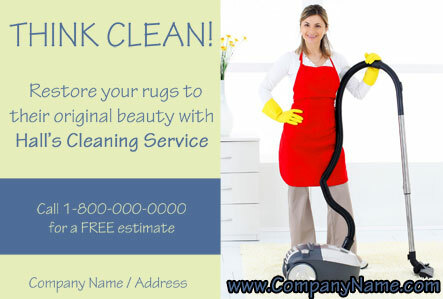 Every day, consumers are swamped with CARPET CLEANING COMPANIES in the media that don’t really take the time advertise precisely what the consumers are looking for. 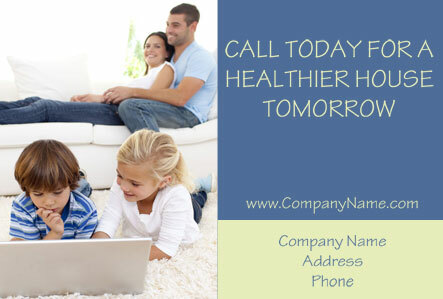 Postcard advertisement will allow your company to focus on describing all the quality services your company has to offer. An informed consumer is a satisfied consumer. Don’t shortchange them advertise today with quality postcards. 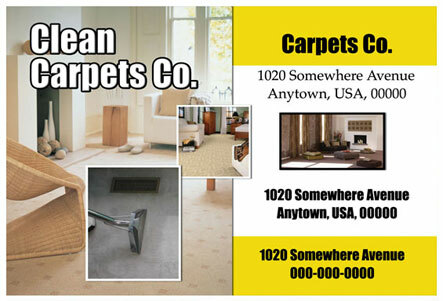 Use a carpet cleaning flyer as a marketing or advertising tool in your company. We can do custom designs that fit your company needs. Just send us an email with all the details and we'll design it and sent you a proof.